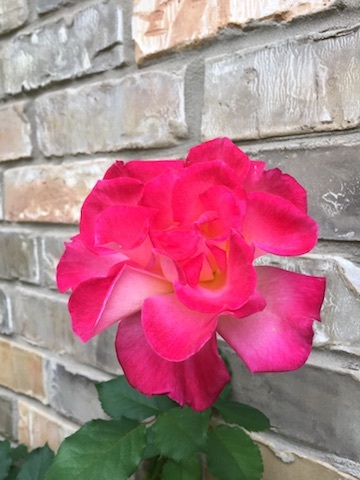 Have you heard a saying, “stop and smell the roses?” The entire month of April, I was in Texas. One day while there all-alone at a my friend’s house, I was busy with writing thank you notes and catching up on some other ministry office related items. I looked through the window and saw a beautiful garden rose. I had to pause to go outside and enjoy the beauty. What a marvelous and delicate reminder to me that I need to stop, relax, enjoy the beauty created by our Father especially when you go full power. It has been almost six weeks since I have returned from Russia. These two months while I am in the states, I am traveling to TX, CA, AZ, UT, NV, OR, WA, MN and SC. In the beginning of June I am going back to Russia for 2.5 months. I covet your prayers for my travels throughout the country and for God to always be the center of my heart. Recently I have asked our staff to send me the news. Daria, who is responsible for the girls residential, had sent me an update saying that nothing globally has changed in six weeks since I left Russia. It is sad to say that another young lady participant chose to leave us. It always breaks our hearts when our residents choose to leave without completing our full program. Moreover, there is a tendency to desire more residents because you feel that having just a few girls in one apartment is not enough. But God always reminds us that we must care for each of them individually and focus on those who are there. We are actively seeking and selecting a new group of residents for the girls’ and boys’ apartments because we will be graduating a sizable group of current residents this summer. Daria has already visited some of the orphanages with the hope that God will bring us those he chooses to be in our family. We covet your prayers for many open doors for a new group of residents to come in the near future. Dmitry who is responsible for the boys’ residential had said that we have welcomed two new boys. 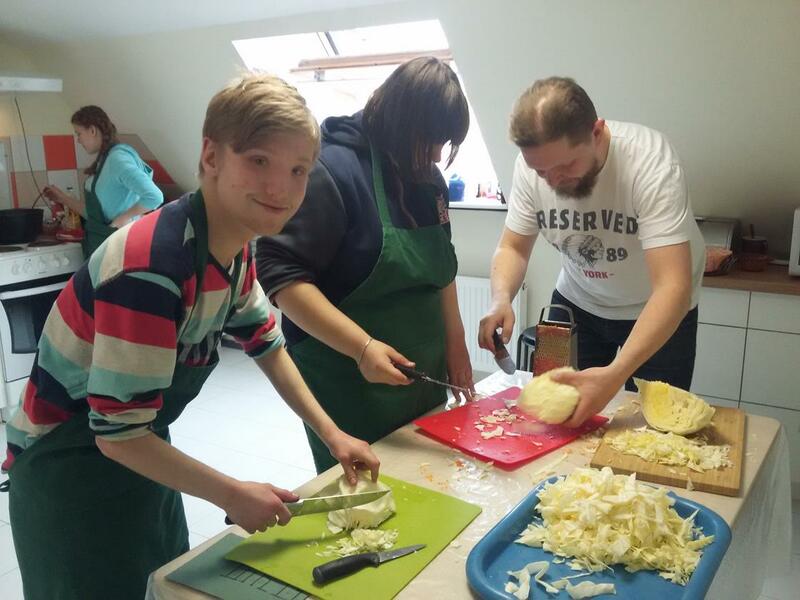 Nikolai is a young man with some physical disability, yet is still capable to move on his own and pursue his goal. At the moment he is working at a mall while studying as well. 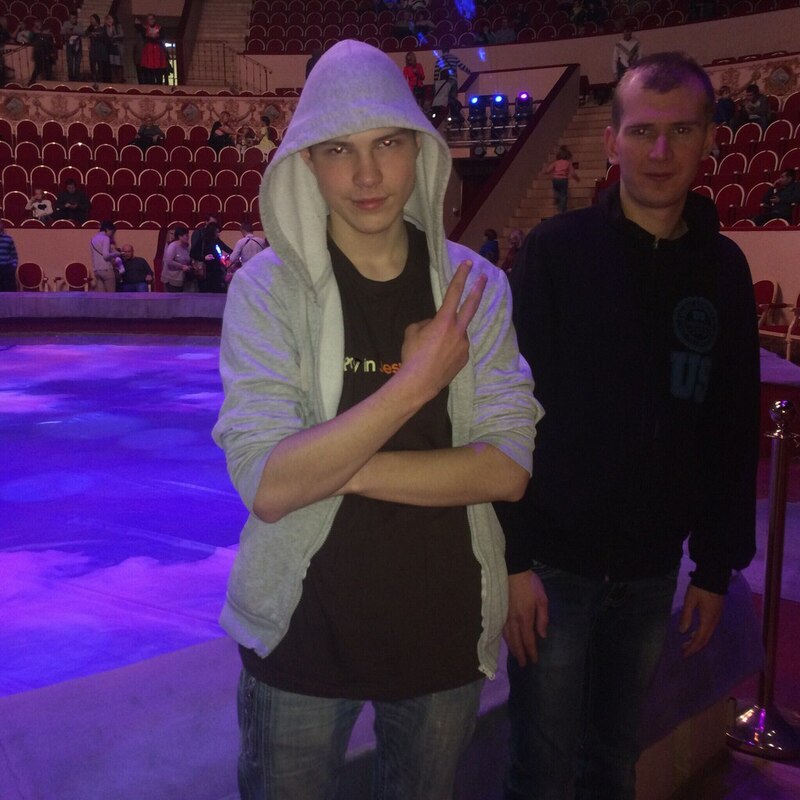 Vadim who is from Irkutsk has joined our family also. Irkutsk is is near to Lake Baikal, about four-day train ride from St. Petersburg. At the moment he is studying at a college and he needs our help. He actually represents one of the Russian ethnic northern groups Evenki (there are 86 ethnic groups in Russia). Vadim shared with one of our mentors during our celebration of the Passover Seder that he did not have a good experience while associating with evangelical Christians. We covet your prayers for these two boys Nikolai and Vadim. Yes, this year we have decided to celebrate the Easter by doing the Passover Seder. It was a very special time and the residents liked it so much that they even expressed more desire to spend time with each other. Such times are precious and we always cherish those moments. We also want to teach them the true meaning of holidays such as Easter and Christmas. We desire for them to give their life to Jesus and to have a personal walk and relationship with Him. We have been blessed in 16 years that such a high percentage of our residents and grads have given their lives to Jesus. We covet your prayers for the continuous work that our residential staff does to encourage our participants toward accepting the redemption of their lives in Christ Jesus. As we prepare our residents for successful integration into society we always want to provide hands on experience rather than just theory. In doing so, recently we reached out to Gazprom, the largest gas company. Gazprom not only deals with gas, but also with oil and much more. 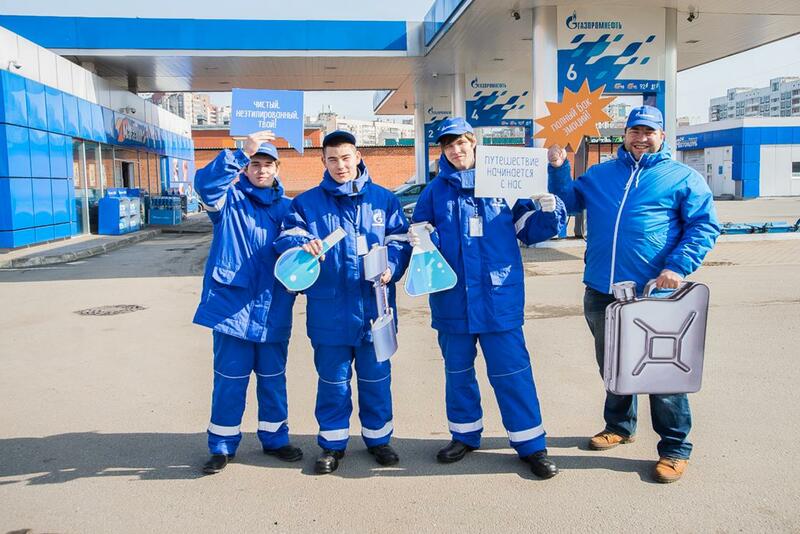 This company has many offices as well as gas stations throughout Moscow and St. Petersburg. Our boys had an amazing opportunity to visit one of the offices and a gas station. They were dressed like an employee of a gas station and served various clients and even made some money. They were filled with enthusiasm and excitement. Such experience gives an amazing boost and encouragement to keep fighting and pursuing their future. We covet your prayers for our current residents, especially for them to be focused, determined, patient, and persevering. These qualities normally do not exists among orphans because of lack of motivation, belief and incentive, sincee many of their dreams have been crushed. 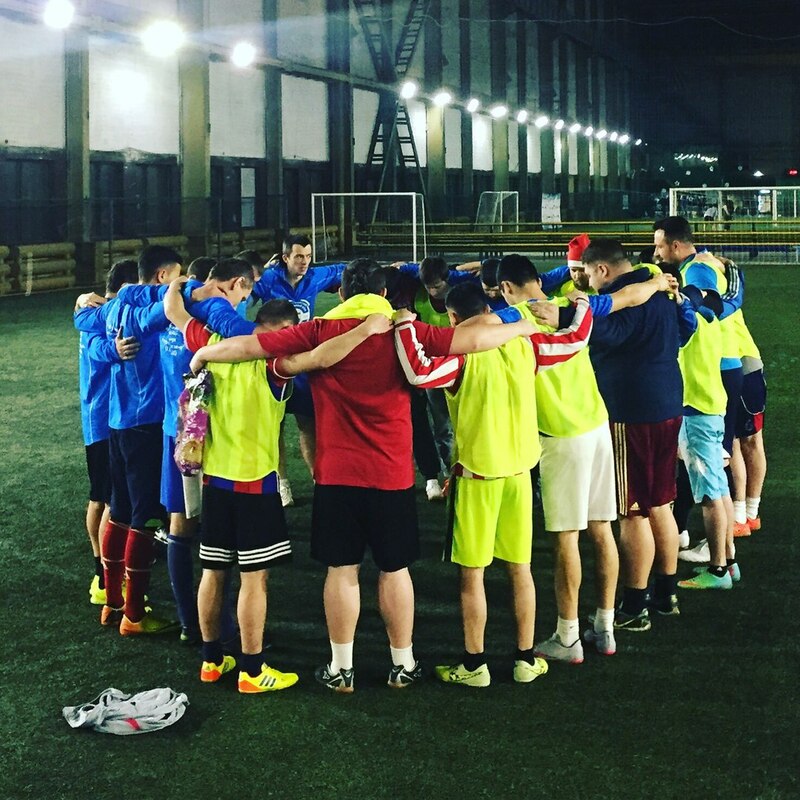 We love it when they dream and pursue their dreams and become joyful and productive citizens in the Russian society. We continue to build relationship and trust with our residents by taking them to a Russian banya (bathhouse), the circus and other places. It allows us to establish a bond. Through that bond we build a relationship, which gains their trust. Ruslan, Oleg and Zhenya will be graduating this summer. We have three boys who will be joining our family in August. Two boys will be coming straight from the orphanage and one is coming from a rehab center. Yes, more and more orphans are struggling with usage of drugs and since we do not allow drugs or alcohol or other destructive qualities sometimes they need to go through another place and then come to us determined and committed. We covet your prayers for these three new boys that will join us. We do not know what to expect, but we are preparing for them. In March we hosted our 8th annual seminar for replicating the model of The Harbor residential care program in other cities of Russia and CIS. We were anticipating more people. Around 15 had signed up, but not all could make it. Again we know that God brought those of his choice and those who are ready to do this mission. 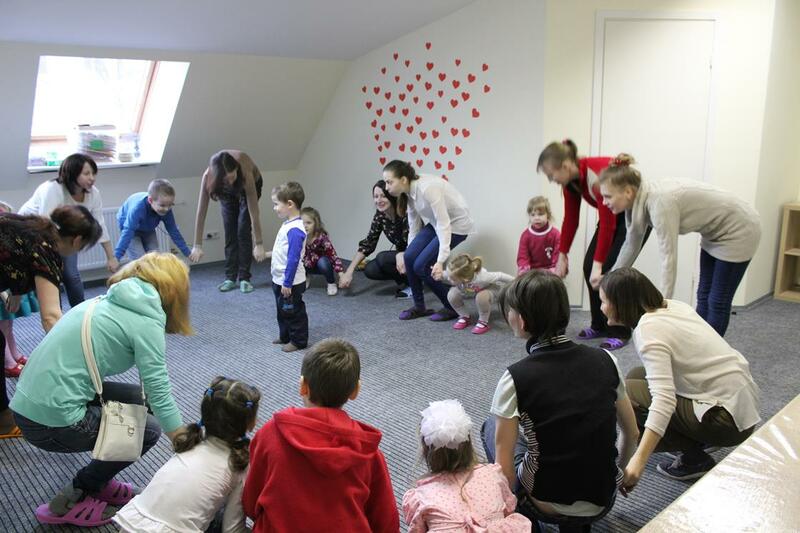 One of the groups was from Pskov and they have been doing orphancare for ten years in partnership with the H4O organization. They even have some former orphans who have become successful and who are now actively involved with this mission. We taught them how to do the residential care and I hope to go there sometime in the near future to see what they are doing with my own eyes. The new model of The Harbor in Tolyatti is getting ready to launch their educational center. 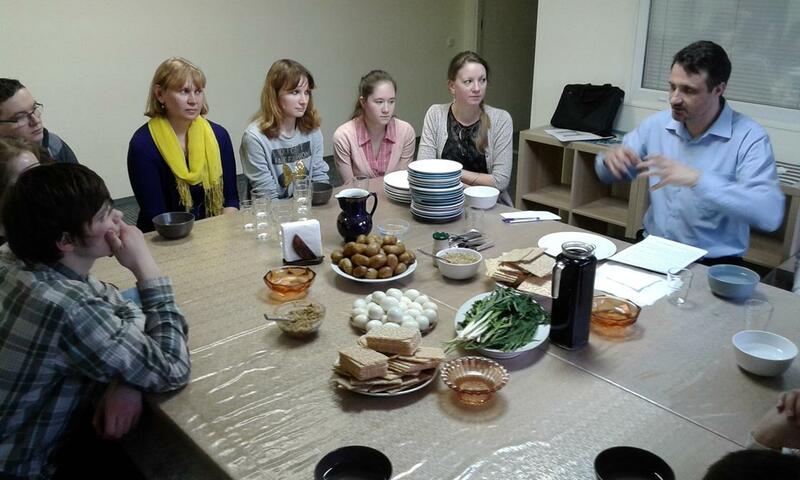 We are thrilled and thankful that God has united Zukhra a local business woman, actually a Muslim (nominal), and Olga with Irina who are strong Christians to run this ministry. The local government has freely donated the building for five years. We give a huge thanks to our dear and precious friends and partners in Germany OJC for helping make the dream of this location a reality. There is nothing impossible with God, even in uniting Christians and non-Christians to do his mission and to bring glory to His name. Svoi Dom the name of the local organization in Tolyatti will covet your prayers for the renovation of the building and a smooth launch of the educational center. They want to open the residential care in six to twelve months. The children at the VTC are continuing to come to us on a weekly basis with great enthusiasm. We are also seeing a change in many of their hearts toward becoming more kind, loving, respectful, not only toward us but even toward one another. God is at work. We covet your prayers for our center, teachers and children. It is difficult to squeeze all of our updates into a shorter newsletter. If you are not following The Harbor via my posts on FB please do so. I always post additional stories, prayers, photos and much more. We are forever grateful to you for your love, care, prayers and finance. Each of us plays an important vital role. Together we are a powerful team for restoring broken lives and giving hope to the hopeless. Thank you! We love you, value you and pray for you.